I'm kinda obsessed with Mexican food. In fact, I love Mexican food so much that I swear I don't have taco seasoning running through my blood. That, and queso...but that's a whole other story. 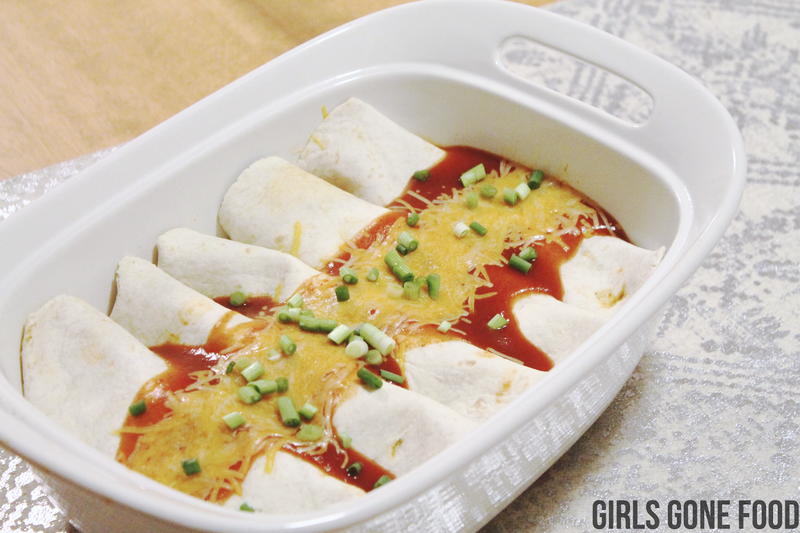 These enchiladas are a staple recipe for me. When my Mexican food craving hits, I whip up these bad boys. I've made this recipe so many times that I could probably make it in my sleep. I usually make variations of it depending on what ingredients I have in my fridge. These enchiladas are just as delicious with ground chicken or beef, or even shredded chicken. Heat olive oil in a skillet over medium-high heat. Saute onions and garlic on low until soft and translucent. Add ground turkey and taco seasoning packet. Follow directions on seasoning packet. Once turkey is cooked, remove from heat. Spray a baking dish with non-stick spray. On the bottom of the baking dish pour a thin layer of enchilada sauce. In each tortilla, put ground turkey mixture, diced green chiles, and cheese. Roll up each tortilla and place in baking dish. 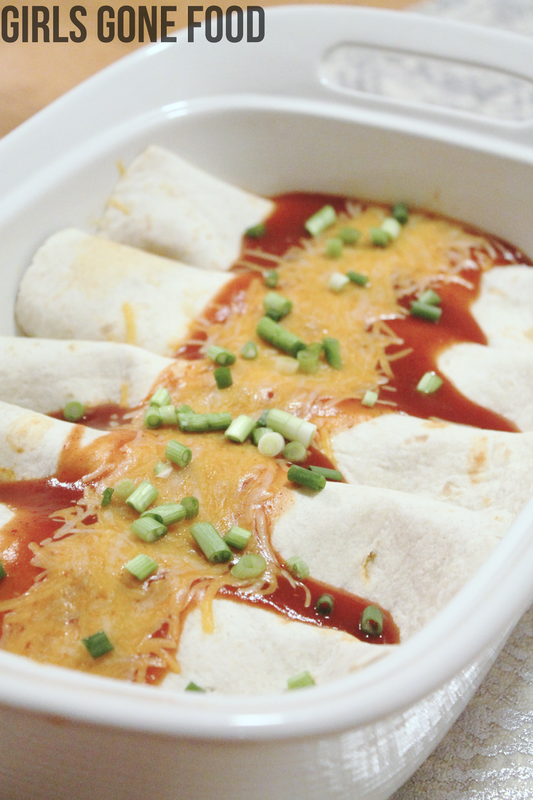 Once all tortillas are rolled up, pour the remaining enchilada sauce on top, then top with more cheese. Cover with aluminum foil and bake for 20-25 minutes. Serve with scallions and sour cream.